So let’s talk a minute about the three options and when and why you’d want to use each one. I’m going to start with WAX. Wax is an oil based product. It’s best applied with a brush and clean up is with mineral spirits. 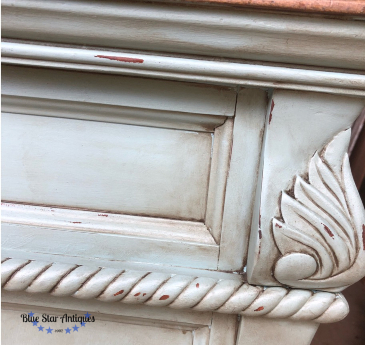 When I used to paint with chalk type paints, I would have to seal with clear wax and then could apply dark wax for the antique look. 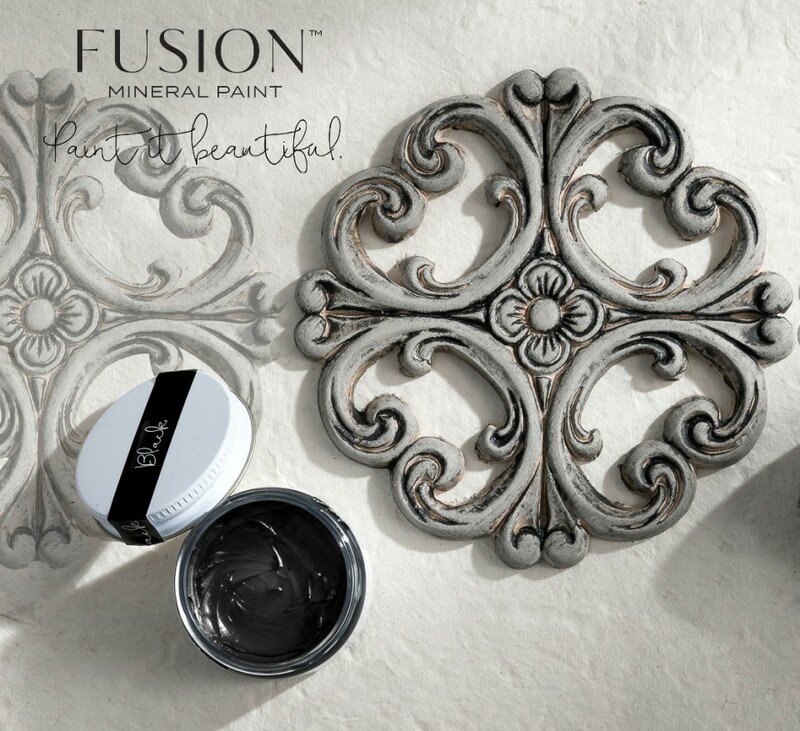 One of the BIG reasons I switched to Fusion Mineral Paint is that it is self sealing and I don’t have to wax it! 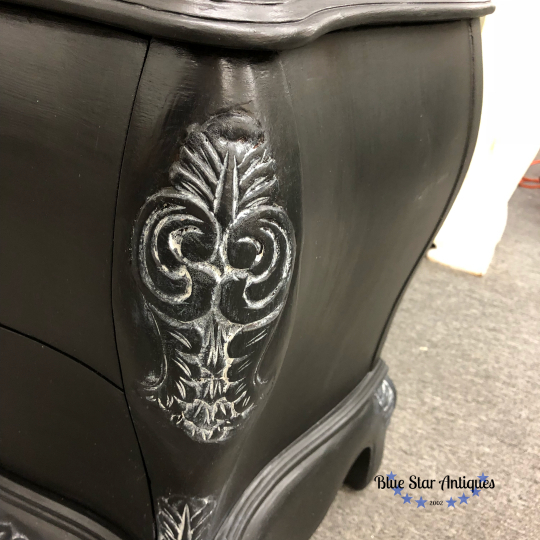 I can, however, use dark wax as an antiquing medium and don’t have to apply a clear wax first. Wax has been around for years and Fusion’s wax is my favorite. It has low VOCs and is like whipped butter – so easy to use. But I don’t use it often. It’s not highly durable and doesn’t provide a waterproof surface so I’ll only use it on the sides or decorative accents of a piece. 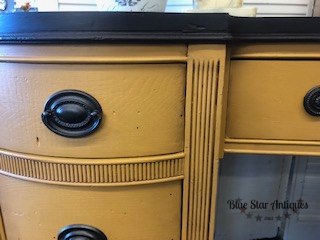 This desk has Espresso Wax applied to the Mustard paint, but the top is stained to ensure great durability. Another option for antiquing is GLAZE. Glaze is a water based product. 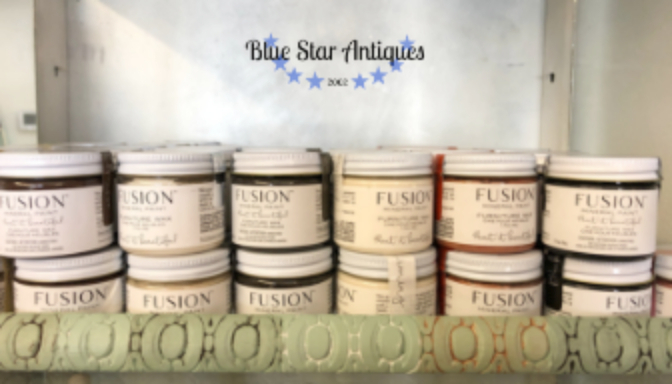 Fusion’s glaze comes in two colors, clear and antiquing. It’s simple to use, brush on and wipe off excess. 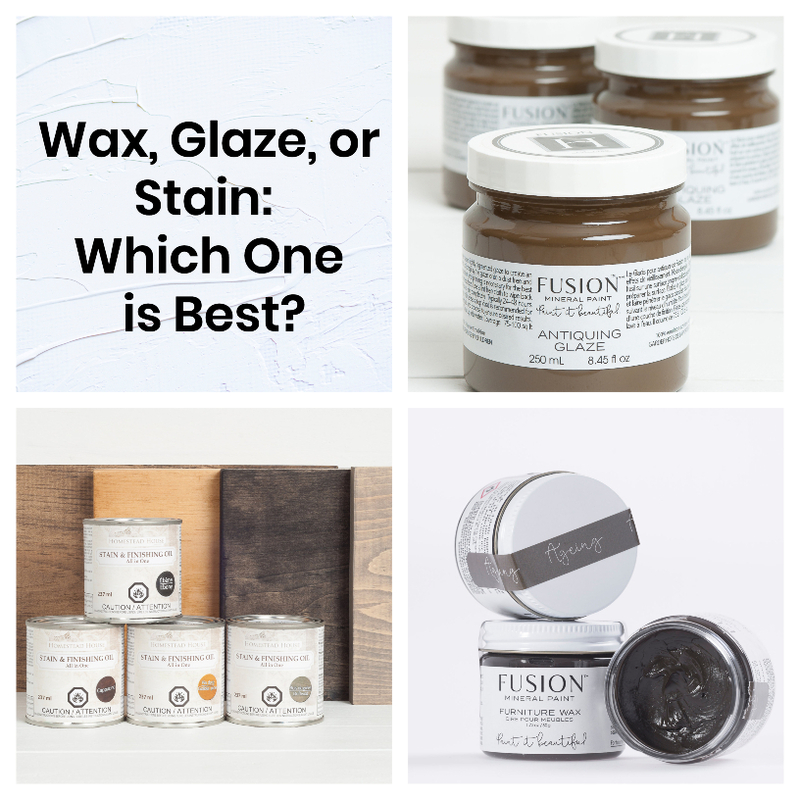 The great thing about Fusion’s glaze is that it stays “open” or wet much longer than hardware store glaze and is a dream to use. Fusion’s glaze is the easiest I’ve ever used, but it’s not my favorite antiquing medium for one reason. Glaze is water based and needs to be sealed to prevent it from reactivating if it gets wet. 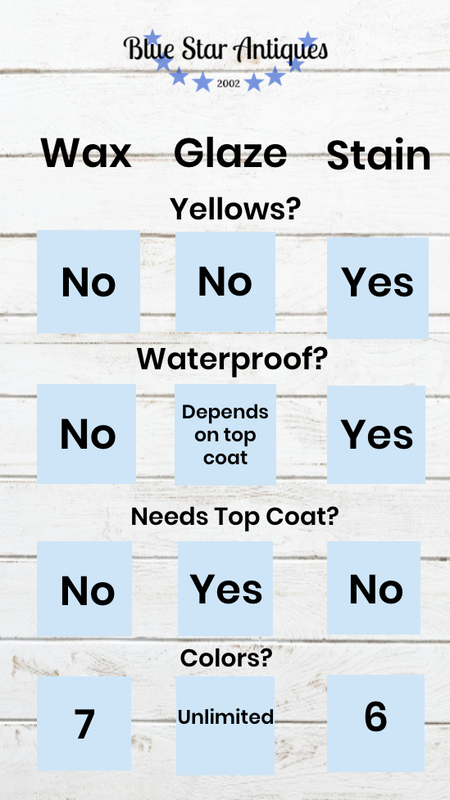 Tough Coat is the most likely sealer for that purpose. I’ve told you before that I’m a lazy painter, so adding this extra step and product makes it drop in popularity for me. I use it on pieces that I don’t worry about the glaze reactivating, like this small table. 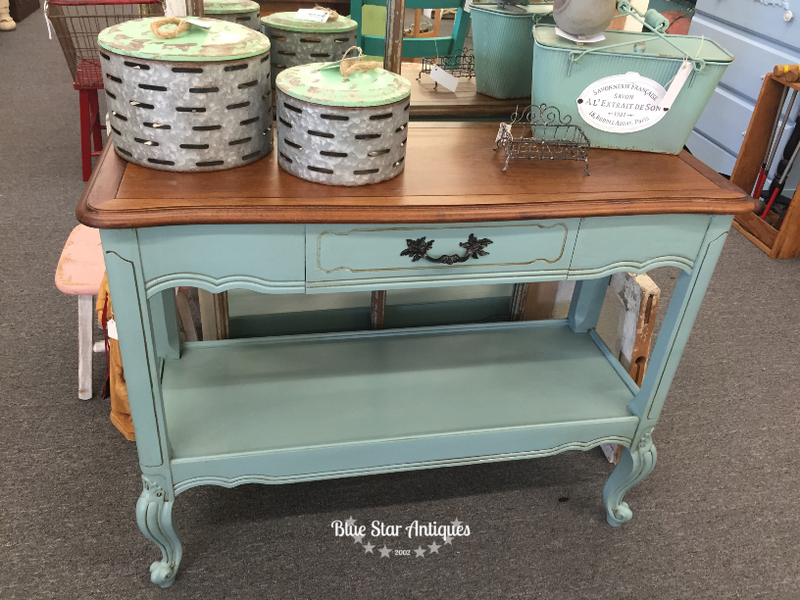 The third option for antiquing furniture is using stain like a glaze. This is my favorite technique! 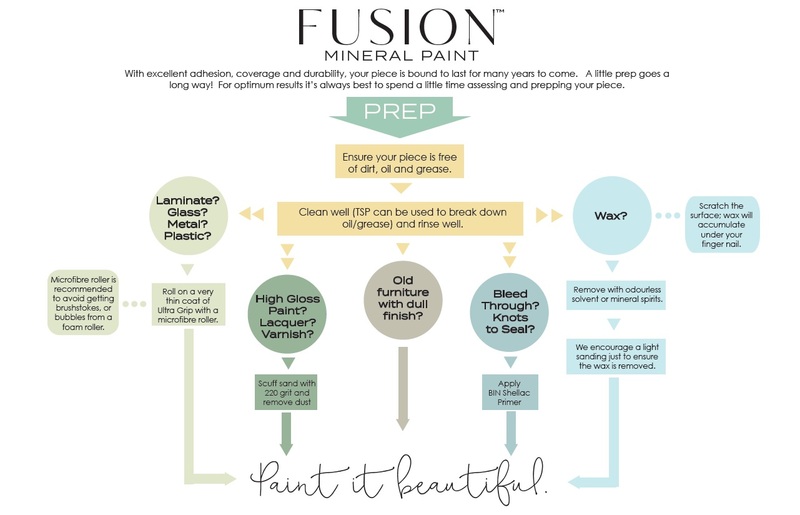 Fusion’s Stain and Finishing Oil (SFO) is oil based so clean up is mineral spirits. It has the sealer built in so no additional top coat is needed. Because of its slow drying time, it stays wet and easy to manipulate. I’ve done several videos showing the process to use SFO over paint. You can check one out here and here. It provides an extra layer of protection, too! The down side is that because it is oil based, it can yellow so should not be used over light paints. So if Stain and Finishing Oil is so easy, why not just use it all the time? Great question, sister! Two big reasons: first, it’s oil based so it will yellow over whites. Second, it comes in six colors so I may choose to use one of the other mediums if I want a different color. 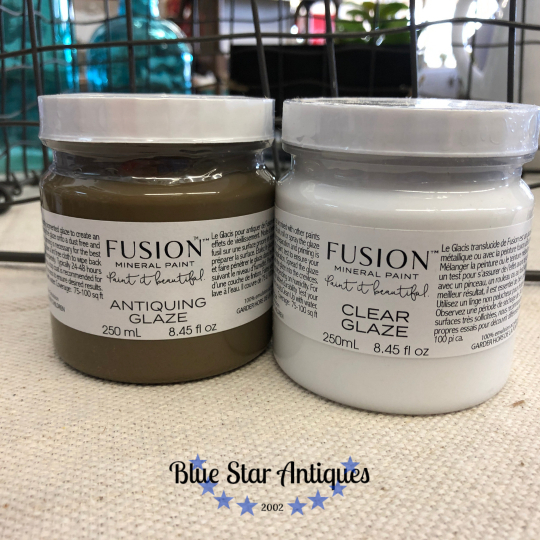 Fusion’s glaze comes in two colors, Clear and Antiquing. The great thing about the clear glaze is that you can customize any color of glaze you want by adding some paint to it. I like 4 parts glaze to 1 part paint. Take a look at this beauty with Copper Glaze, a mix of Clear Glaze and Copper Metallic paint. And here are the six colors of the Stain and Finishing Oil. So here’s a quick chart to help you decide which product is right for you and your project. Hopefully it helps you get the look you want! 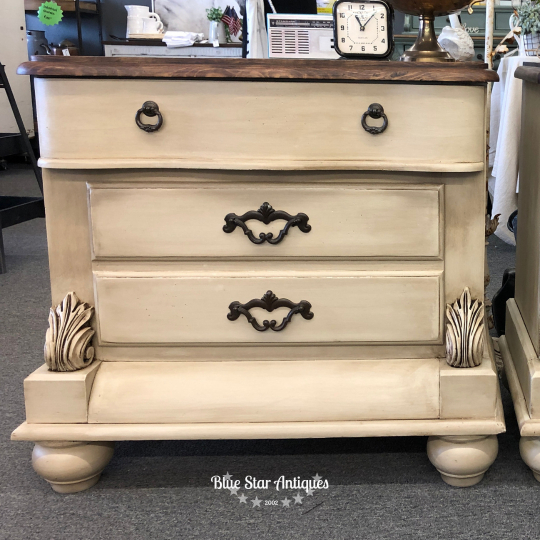 So I guess this big beautiful piece shown here in Lamp White with Driftwood SFO is going to yellow eventually? It showed no evidence of yellowing after two months and likely won’t show since the stain has gray pigments. Wow this is beautiful. 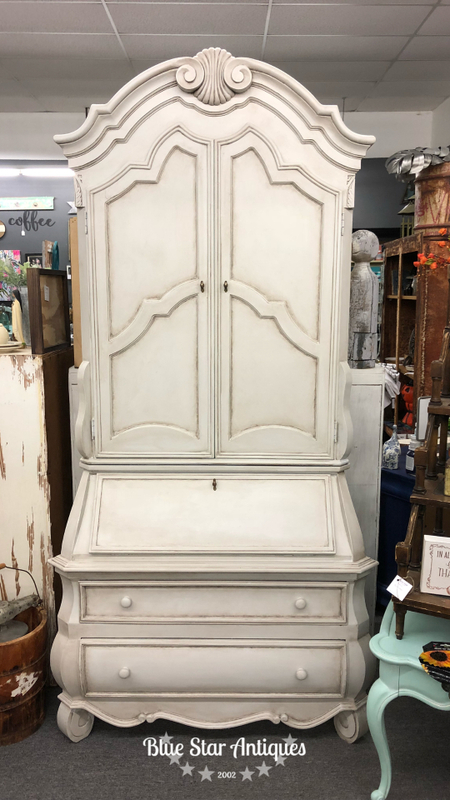 Would this be durable enough to do on my kitchen cupboards? Yes! 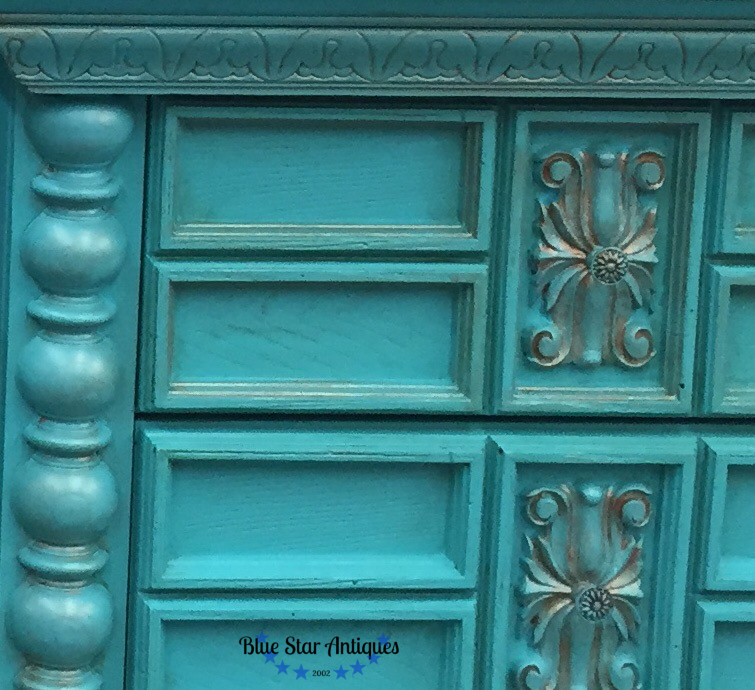 The SFO is a great topcoat for cabinets!